Writer -- via the Straits Times. 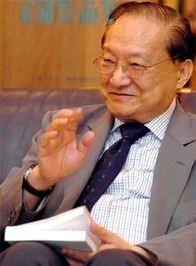 AKA Louis Cha Jing-Yong. One of the great wuxia authors (dealing in martial arts, chivalry, and fantasy -- a Western author he might be compared to would be J.R.R. Tolkien).